The more time you spend in the music business as a creator, the more you begin to understand that music is made to be consumed. If you want to write music for yourself and never have it reach an audience, that’s completely fine. I get it! Music is an art form, and some people want to keep their intentions pure. I, on the other hand, write music because I love making music, but I also need to make money to continue doing what I love to do. It’s very simple now, but it took many years of drugs and alcohol to get to this mental space. In more recent times, there is a greater need for music more than ever. Television is just one avenue. Movies, short films, trailers, video games, apps, YouTube channels and commercials are just a few places your music can be used. One of my favorite professors in audio school told me that the future of music is film. I believe that day has come. It’s very impressive if people just want to listen to your music because they just want to listen to your music. That’s why I have an enormous amount of respect for recording artists, and the team behind them in the music industry. However, just because a producer or composer is not in the limelight, doesn’t mean they’re not making a decent living and loving life doing what they do. I’m sure you’ve wondered how these composers get steady paychecks from the music business? I think it’s simple. They figured out their role in the system. Successful producers and composers understand that it’s not about them. Each client has a specific need for music, and the sooner you can figure out what their needs are, the better chance you have to make money. Furthermore, formatting your music is one of the most significant ways of making a sale. Let’s talk about how to format your music for TV. A cue, in general, is a shorter snippet of music. Radio songs are usually 3:30 minutes long, but a cue can be as short as 1:00 minute to 2:30 minutes in length. There’s no use in creating long, elaborate intros, verses, choruses, bridges and transitions. Cues need to be short and sweet because people who are picking music for shows don’t have a lot of time to listen to all those tracks. Keep in mind that professionals on this side of the industry have to work under extremely tight deadlines. If you want your tracks to get placed, you need to have multiple sections. Start your track simple. Begin with an intro with one or two instruments, and then have each section build until the end of the track. This is one way you can format: have a simple intro, verse, chorus, verse two, and then end on chorus two. Always have different and interesting instrumentation in each section. You’ll have the same melodic theme throughout, however, try switching it up — use a synth instead of a violin for verse two. In the second chorus, include a couple instruments so that the final section sounds more epic than the first chorus. The additional instrumentation can be a new percussive sound or even another synth that’s playing the same lead line. The point is: every section should be different. At the very end of the track, make sure you have a button ending. A button ending is typically a two to four bar build, and ends on the major or minor I(i) chord. This means, if you’re writing in the key of C major, the last chord should be a C major chord. If you’re writing in the key of D minor, the last chord of the song should be D minor. Some would agree that this is a bit cheesy, but this is all a part of the format, and how clients want their music. Remember: this is about the show, not about you. When a cue is chosen, the editor puts the music in the right spots. A cue with multiple sections has more value. Think about why people go to In-and-Out or McDonald’s to order a value meal. It’s fast, cheap, delicious — and you get a burger, fries and a drink. It’s the same concept! With a well-formatted cue, you can put the intro in the part of the show where the actors are riding around on their bikes at a park. You can place the chorus section where the actors are emotional or overly-dramatic. All with one cue, you can have many different homes for it. When composers receive requests from publishers, they usually receive a brief. Briefs are detailed instructions on what the client is looking for in their TV show. Any time you receive directions, you want to make sure you deliver. Don’t just start writing for the sake of writing. What you think is amazing might not be what your client is looking for. Maybe you’ve written the next pop hit, but Duck Dynasty may not be looking for Top 40. This might be difficult to do if you’re used to writing music for yourself or recording artists. It will take time and patience to compose music for different formats. If the publisher attached a reference track to the email, study that from front to back. Listen to those types of tracks until it’s inside your body so that composing that style becomes second nature. Practice makes perfect! Now that you know five different ways to make your cue irresistible to music publishers, go and try to compose as many as you can. Go to music licensing websites like: Lab Hits, Killer Tracks and Music Bed to get a good idea of what these TV shows are looking for. Second to composing is listening, and to listen critically. 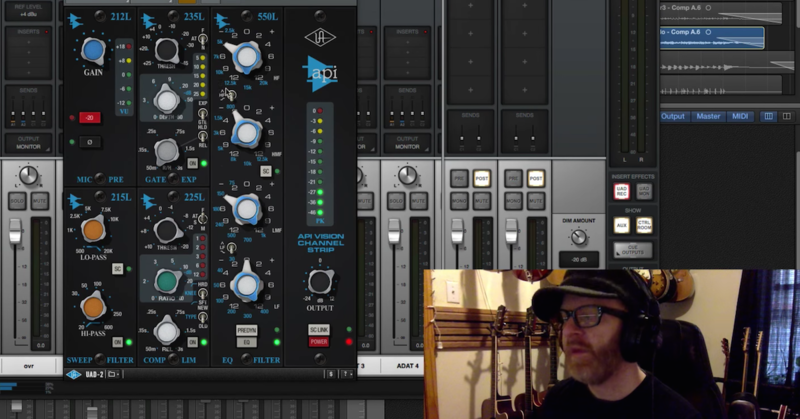 Try to reverse engineer what it is that makes a track a good track. Is it the sound selection, the mix, or the format? It could be combination of a many qualities. Once you get your first placement, you’ll get a better idea of what it takes to land your music on TV. 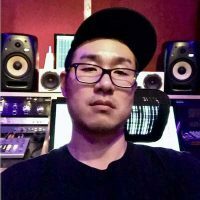 Jin Wooh is a producer, composer, audio engineer, A&R and educator with credits on major labels and TV networks. He has taught at the Los Angeles Recording School in the Recording Arts and Music Production programs. You can follow him on Instagram and learn more at calidreamco.com.